Governor Jerry Brown on Tuesday warned the public of a bigger, more dangerous earthquake that is likely hit to California. 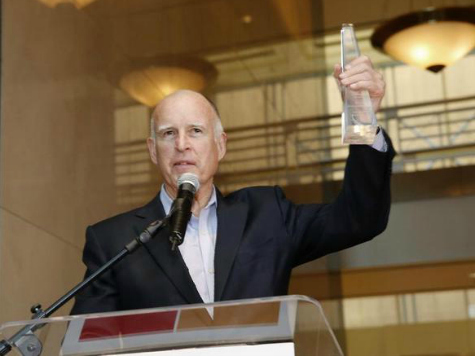 Speaking on KGO 810 radio, Brown said Sunday’s earthquake was “nothing compared to the big one” that scientists and geological experts are predicting could strike the Golden State at any point over the next 20 years, reports the Sacramento Bee. The United States Geological Survey has predicted a 31 percent chance that a magnitude 6.7 or higher earthquake could hit on the Hayward Fault, which sits aside Napa Valley. The Hayward Fault runs parallel to to the San Andreas Fault and it is believed to be the most likely source of a massive earthquake in the Bay Area. Damages from Sunday’s 6.0 quake could cost up to $1 billion. In addition to homes being damaged — some beyond repair — dozens of Napa Valley businesses have been left in a temporary economic limbo as they seek alternative modes of operating during the region’s busiest tourist season. In Tuesday’s radio interview, Brown reportedly used Sunday’s earthquake to push his controversial $25 billion Sacramento Delta tunnel plan, notes the Bee. Brown claims the Delta tunnel plan will create 19,600 jobs over the next 50 years. The plan calls for the construction of two tunnels in order to redirect water located around the Sacramento-San Joaquin River Delta to areas like Los Angeles and the Central Valley in order to save the freshwater supply from being contaminated with seawater if and when “the big one” strikes. Critics of the plan are saying it is “based on a fictional scenario” and claim that some of Governor Brown’s job creation numbers are highly exaggerated.